What can you do when a garment you really like gets a hole in it? Of course, you can patch it but what if you make the repair a design element? 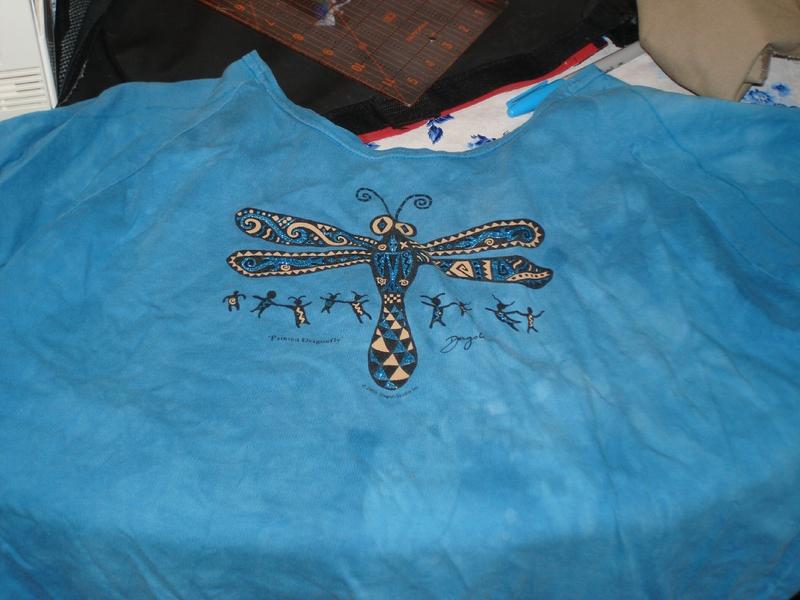 I love this shirt with its funky tie dyed background with a strange mystical symbol. It also happens to be a unique color from my color chart. However, it had two little holes one on each sleeve. 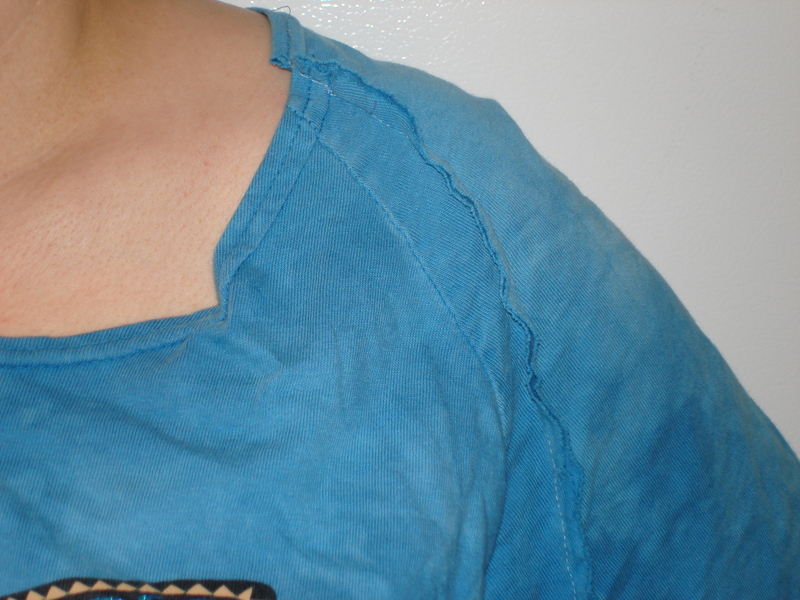 So I marked a line on the sleeves from top to hem intersecting the hole. I used this line as a fold line. 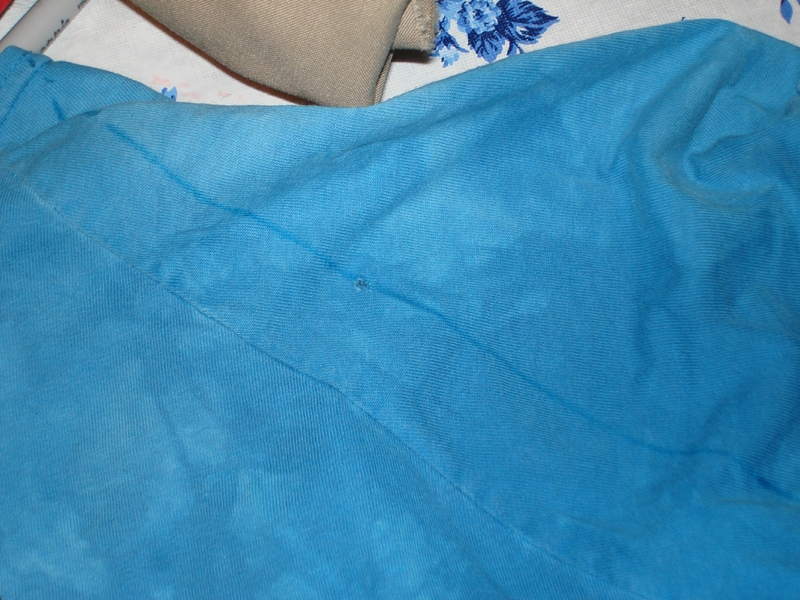 After folding the fabric on that line, I ran a seam along it about a quarter-inch from the fold. You could use any width you wanted. You could put this seam on the inside, but I chose to put wrong sides together and make the seam a decorative element. Then I cut open the seam. You could press this seam open and have it lay flat. You could run decorative a decorative stitch down the center, or press to one side and run a decorative stitch on that side. I chose to do none of those things. I like the ruffle edge of the cut edges. Since it is knit it won’t ravel but after washing a few times it gets kind of wavy. I may at some point bring the sides in a little on this t-shirt to make it more fitted. I do this to a lot of t-shirts. I’m not sure because I like the oversized comfort of it. You can see that I made no effort to make the seams symmetrical. 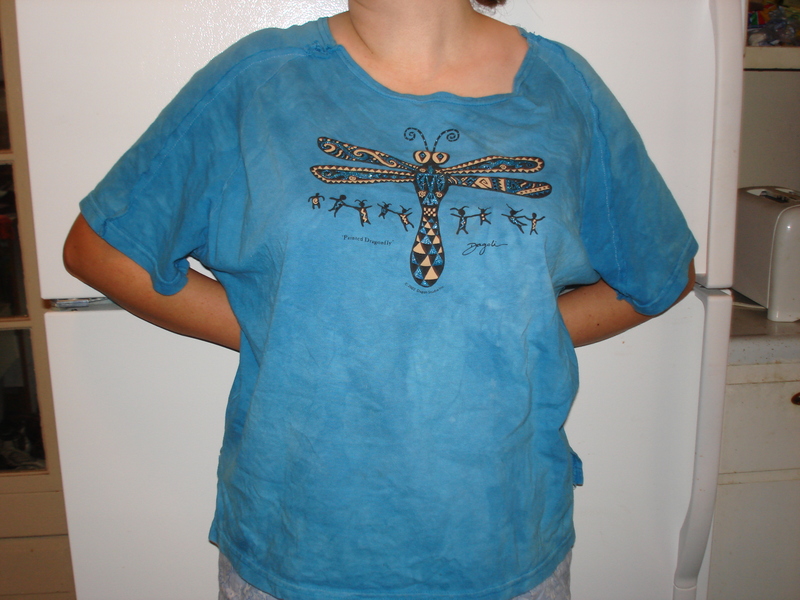 You could try to do this, but I kind of like the rough unevenness of the finished garment.